When Cindy Hausburg filed for divorce in May 2013, she never envisioned that two years later she would be sitting before three members of a medical examining committee, trying to convince them that she knew how to tell the time of day. Nor did she expect that a professional guardian would change her medications and the locks on her house. Or that her legal separation from her husband would morph into a bewildering fight to regain control of her own life. Or that guardians and attorneys would wind up billing her for some $125,000 in fees and costs. After all, as divorces go, the Hausburgs’ was a familiar scenario: Children out of the nest, not enough in common anymore. Except for some tension over money, they expected a fairly amicable parting. But three years after starting the process, the longtime Sarasota couple are not yet divorced. Instead, Cindy and Jon Hausburg find themselves united once more, in a legal struggle they both find baffling — even though he is an attorney himself. The pinnacle of irony was perhaps reached early last December: At a divorce mediation session, four attorneys representing Cindy Hausburg and her two successive guardians sat down with Jon Hausburg and his divorce attorney, and — according to a draft settlement agreement filed in court — offered to hand over control of the wife’s property and medical care to her estranged husband, in exchange for $64,500 to be divided up among them. In other words, after nearly 30 years of marriage, Jon Hausburg was given a chance to buy back the civil rights that a Florida court had taken from Cindy Hausburg, so that they could proceed to finalize their divorce. As it turned out, the proposed settlement was never consummated, and Cindy Hausburg had her rights fully restored at a hearing on May 5. It appears likely that a new court monitor program — instituted in Sarasota County after a series of stories in the Herald-Tribune about Florida’s troubled guardianship system — played a role in this outcome. But the wrangling over guardianship and attorney fees continues, in what might be one of the most puzzling cases ever to befall an adult ward in the state of Florida. When a spouse involved in a divorce is unable to make decisions because of frailty or cognitive impairment, it is not unusual for a court-appointed guardian to act for that person in legal proceedings. But Cindy Hausburg’s year of guardianship — begun with her consent and then continued against her will — reflects an entirely new twist on the law, according to specialists in the field. The guardianship statute was designed to protect Floridians who lack capacity, because of age or infirmity, to make important decisions about money, relationships, employment, medical care, housing or even who they think should be the next president. Anyone can petition the court to remove an individual’s freedom to determine his or her own destiny. Most adult guardianships involve wards so cognitively impaired by a brain injury or progressive dementia that they need someone else to safeguard them from fraud, abuse or self-harm. Cindy Hausburg’s case is hardly routine. While she has been treated for anxiety and depression, she does not begin to fit the description of an elder with irreversible dementia. While she had little understanding of what a legal guardianship is, she says, she was cleared by a medical doctor to enter into that status of her own free will. Several months after hiring a new attorney in October 2014 to revive divorce talks that had faltered, she voluntarily placed her property under the guardianship of Lutheran Services Florida, a nonprofit agency that serves both indigent wards and those with the means to pay $85 an hour. In 25 years of practicing family law, Delpech says, she has only twice recommended that clients consider arranging for professional guardians to manage their property. Barbara Palmer of Bradenton filed a petition for voluntary guardianship in December 2012, expecting, she recalls, the same kind of help. Delpech’s work on Palmer’s behalf in family law court impressed a young woman who happened to be assisting in the case on the opposing side: Cindy Hausburg’s eldest daughter Heather, who says she referred her mother to Delpech. While it took until April 2015 to reach a final settlement with her former husband, Palmer says she was released from the voluntary guardianship at her request, in May 2014. In the following year, Cindy Hausburg would not be disentangled from her own arrangement so easily. Her husband Jon remembers his reaction when he heard his wife had acquired a guardian. Four months later, however, a petition was filed in the 12th Judicial Circuit Court to have his wife declared incapacitated and remove all her civil rights. The petition was signed by Elizabeth Carlson, who Cindy Hausburg says worked on her divorce case for Delpech as a forensic accountant. Carlson has not responded to a voicemail from the Herald-Tribune requesting comment. What happened next should not have happened, guardianship attorneys who agreed to discuss the case have said. On Sept. 3, 2015, the court-appointed lawyer who represented Cindy Hausburg, Robert “Tad” Drean, and the lawyer for Lutheran Services appeared before Judge Charles Williams and told him that they would file a written stipulation regarding her incapacity if he would sign the orders to declare her incapacitated and appoint a new guardian with power over her medical and legal decisions as well as her finances. Cindy Hausburg was not present in court that day. She says Drean advised her against it. Krooks, the New York guardianship attorney, says wards may sometimes be advised to remain silent at their incapacity hearings, but always have the right to attend them. Jon Hausburg says he first heard about the petition to have his wife declared incapacitated when he was in North Carolina helping one of his four daughters with a move. She got a frantic call from her sister Heather. To Cindy Hausburg, the view from inside her guardianship process appeared — well, crazy. As for the claim that she was double-paying bills, she wonders how that could even be possible after the guardianship began, because she had no money. Her husband paid a monthly allowance directly into her guardian’s account. Once the new guardian had charge of her medical decisions, Hausburg says, home health “babysitters” came to her house daily. Because her guardian failed to pay the home health bills — unaffordable, given the amount of monthly support she receives from her husband — that account has been turned over to a collections agency, Cindy Hausburg says. 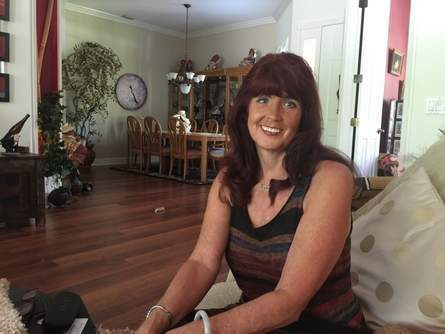 In October, after she missed an exit on Interstate 75 and ran out of gas, her guardian arranged for her to check into a detox program in Tampa, although Cindy Hausburg insists she has no alcohol or drug problem. Jon Hausburg said he agreed to pay the $10,000 a month — “I said, if that’s what she needs, yes” — and drove her to the clinic. After a two-hour interview, both Hausburgs say, they were told the program was not appropriate for her. So Jon Hausburg drove his wife back to her Bradenton home, he says, to find her guardian’s assistant parked in the driveway and a locksmith changing all the locks. Like other Florida wards before her, Cindy Hausburg believes she was treated with less fairness than criminals receive in court. Of all the attorneys working on her case, she says, only Drean talked to her. Repeatedly, according to his billing statements filed with the court, she asked him to intervene with her guardian. Drean proved to be an atypical court-appointed guardianship attorney in two ways. First, these attorneys rarely have any contact with wards once the hearing process is concluded. While an attorney for the guardian continues to be paid from a ward’s assets, the ward no longer legally has anyone to speak for him or her except the guardian. “The role of the court-appointed attorney ends when the guardian is appointed,” explains Krooks, the New York elder law attorney. Also unusual was the amount of interest Drean took in Cindy Hausburg’s divorce case. According to fee petitions filed in court, of the $30,165 he has billed so far, at least $8,337.50 is directly attributed to divorce issues such as discovery of Jon Hausburg’s assets, and work on the proposed financial settlement. This was at the same time that Melinda Delpech was billing for her work on the same issues — for a total of just over $45,000 so far. In fact, Delpech’s and Drean’s billing statements show entries totaling at least $2,000 worth of billings for communicating exclusively with each other. One issue that commanded attention from both Delpech and Drean, according to their fee petitions, was the effort to determine Jon Hausburg’s assets — a routine quest for a divorce attorney but not for a court-appointed ward’s representative. A lengthy discovery process, he says, revealed that his multimillion-dollar family inheritance was not part of the Hausburgs’ joint marital property. At this point, Cindy Hausburg had about $163,000 coming to her in the divorce, aside from her house and alimony expectations. In November, Drean asked the court to consolidate the two cases — guardianship and divorce — in the interests of “judicial economy.” His motion mentioned a divorce mediation conference scheduled for December with Jon Hausburg, along with Delpech and attorneys for Cindy Hausburg’s first and second guardians. One question to be resolved — after it was clear that Cindy Hausburg could not expect a million-dollar divorce settlement — was how all these attorneys and guardians might be paid. Melton Little, Jon Hausburg’s divorce attorney, says the proposal that emerged from that Dec. 2 conference — to make his client the guardian of his future ex-wife in exchange for an agreement on fees — represents the kind of “out-of-box thinking” that such mediations are meant to encourage. The deal was one way, he argues, to resolve a case that was getting out of hand. But Jon Hausburg says the proposal was sparked by an offhand comment he made to express his dismay — both at the number of people who showed up for the mediation, and the fees they were demanding. The unusual settlement effort came to nothing. One snag appears to have been the proposed cap on fees; another was Cindy Hausburg’s refusal to sign releases that some attorneys reportedly wanted. But a turning point in the case came early this year, after the Herald-Tribune reported on state Sen. Nancy Detert’s bill to reform the guardianship process. Cindy Hausburg happened to see the January story online, and wrote in the comments section about her predicament. Her plea was read by William Eppley and Pam Vergara, Brooksville attorneys who had represented a client in another Sarasota guardianship case profiled in the Herald-Tribune. In March, Eppley entered the Hausburg divorce case on behalf of Jon Hausburg. Williams designed the court monitor program, partly in response to a Herald-Tribune series examining the guardianship process, as a way of ensuring “that not one person slips through the cracks.” This is the first year of its existence, and the experiment appears to have had an impact in this case: Less than a month after monitor Dana Yawn submitted her confidential report, at a May 5 hearing Williams made restoring Cindy Hausburg’s rights his first order of the session — even though it was not among the topics set for discussion that day. With nine attorneys in the courtroom and one on the telephone — several of them asking to abandon a case that had spiraled out of control — the hearing was at times a chaotic affair. “This is not a cocktail party,” Williams said at one point, when Cindy Hausburg’s sister stood and attempted to speak. The guardianship was suddenly, effectively at an end, and the divorce proceeding was in limbo. What remained to be hashed out — and still remains before the court — was whether Jon Hausburg should be held liable for all the fees that piled up during his wife’s yearlong experience as a ward of the court. Delpech, who had asked for a decision on a motion to be paid for her work on the protracted divorce case, so she could withdraw as Cindy Hausburg’s lawyer, expressed little hope that her issues would take precedence. Little, the lawyer on the speakerphone, also seeking permission to withdraw as soon as his client found another family law attorney, summed up the level of confusion that had begun as an apparent effort to help a divorcing homemaker learn some financial skills.